VICTORIA Falls' Mosi-oa-Tunya High School clinched the inaugural Thembalethu Foundation Under-17 soccer trophy after a lively boys' schools' tournament held at Chilisa Secondary School in Hwange on Wednesday. Thembalethu Foundation is an international organisation whose directors Kelvin Ngwenya and Siko Ndlovu are based in the United Kingdom, and they are working with Baobab Rovers Academy of Zifa Matabeleland North Division two side Baobab Rovers FC. Mosi-oa-Tunya edged Hwange Secondary 1-0 in the final courtesy of a lovely goal by the tournament's top scorer Arnold Sibanda. 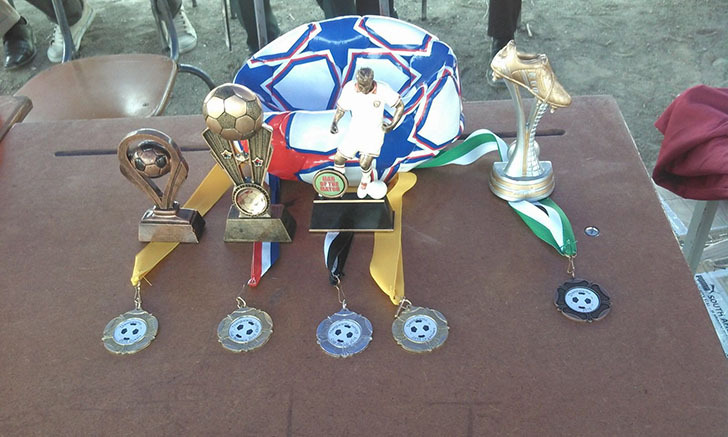 Kalope High School, Gebhuza Secondary School and hosts Chilisa High School were the other teams that took part in the tournament. 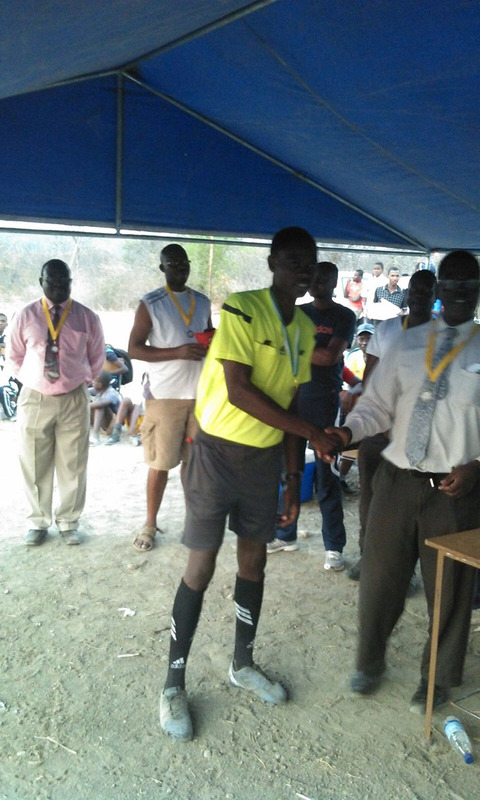 In the run-up to the finals, Mosi-oa-Tunya first beat Chilisa 1-0 with Sibanda netting his fist goal. They went on to hammer Kalope High 5-2 before edging Gebhuza 6-5 on penalties. 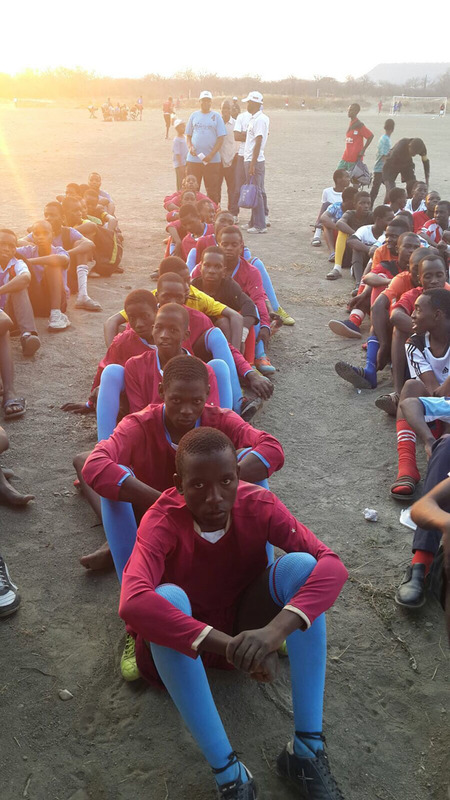 Hwange Secondary beat Gebhuza 7-6 on penalties before edging Chilisa High 1-0. 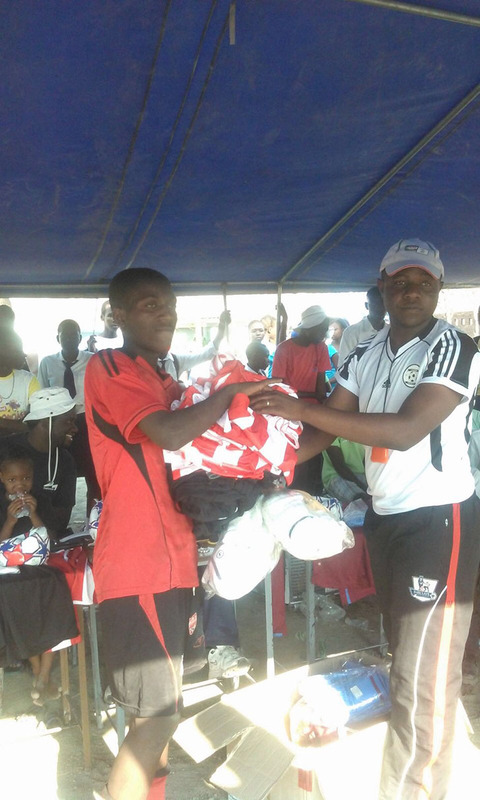 Alfred Mbirimu from Kalope High was voted player of the tournament, Gebhuza High's Padre Mulenga was voted goalkeeper of the tournament, Sibanda scooped the top scorer's gong with three goals while Kalope High was voted the most disciplined team. 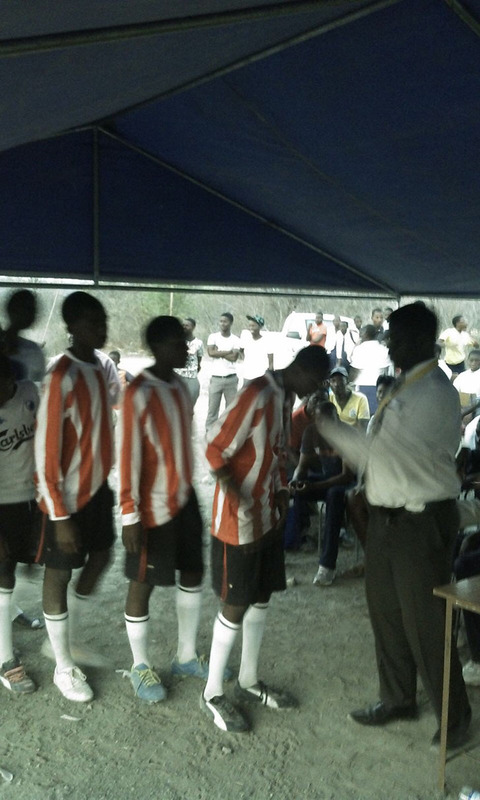 Mosi-oa-Tunya were presented with a floating trophy and also walked away with a full kit, medals and match balls.The other schools also got medals and a soccer ball each. Thembalethu Foundation representative in Zimbabwe Busani Mpofu, who is also the Baobab Rovers FC chairman, outlined the intentions of the group. "Our intention is to promote soccer in remote areas aimed at empowering young people to explore their talents. There is a lot of untapped talent here hence we have decided to come up with his tournament, which will now become an annual event," said Mpofu. "Next year we will include girls as we seek to have a bigger and better tournament. 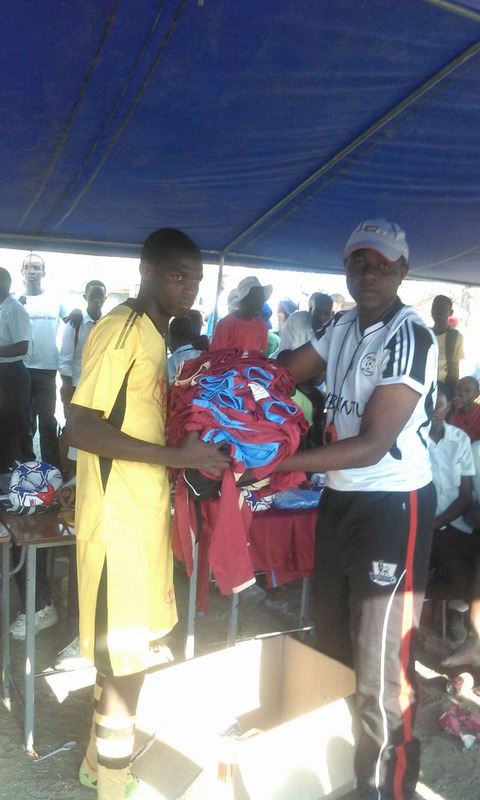 The foundation has in the past organised matches in areas like Filabusi and Bulawayo." 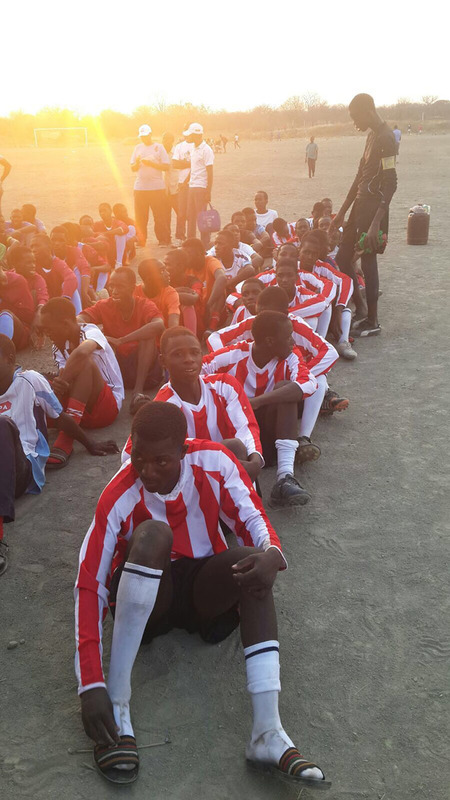 Hwange district education officer Lovemore Ncube urged young footballers to take up sport, in particular football, seriously. "This is the beginning of a great future for you in sports. Many footballers worldwide are living comfortably from this game because they were serious and dedicated hence I urge you to train hard and open doors for yourselves in the future." he said.